Your ability to move products and materials in a timely fashion is critical to the success of your business. For warehouses, loading facilities and shipping centers, commercial truck doors and loading equipment must be working properly to ensure maximum productivity. Any delays caused by sudden breakdowns or poor performance can not only bring your operation to a sudden halt, but they can also cost you money. O&L Door Systems can help. 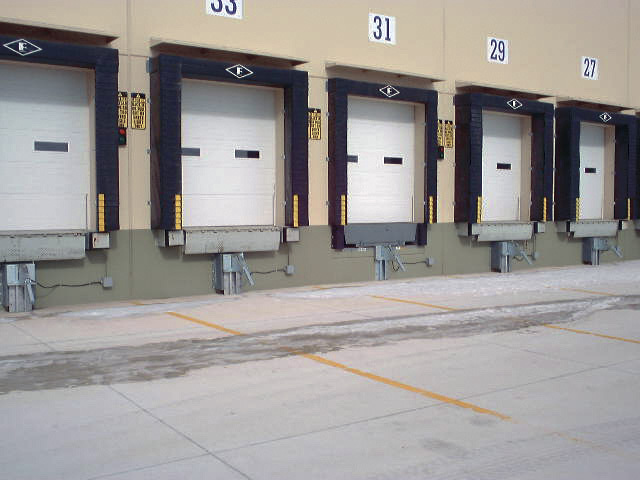 We are a leading provider of commercial loading dock door service in Eagan, Burnsville and throughout the Twin Cities area. From new truck door installations to emergency service and preventative maintenance, we offer everything you need to keep your loading dock equipment in great condition, no matter how busy things get. In a busy commercial facility, any of these problems can be caused by wear and tear. If left unattended, they can become more serious, potentially requiring a large, expensive repair that interrupts your operation for an extended period of time. Don’t put off commercial loading dock door service. Call Eagan, MN’s O&L Door Systems today. We have an extensive inventory of parts and a highly skilled staff on call around the clock to take care of any commercial door problem. Our technicians can quickly troubleshoot the issue and put together a repair plan that fixes the problem for good. Regular preventative maintenance can help keep truck doors and other loading dock equipment working their best. Regular maintenance also reduces the risk of an on-the-job accident and can extend the life of your doors. Let O&L Door Systems put together a maintenance schedule for all your commercial doors and truck loading equipment — speak with a representative today to learn more about how we can help. Looking for a quote for new loading dock equipment? We do that, too. Call our office or submit a form with your information to have a team member contact you directly.